Cyfrowy Polsat saw its 2018 full-year results boosted by success in attracting subscribers to multi-play offerings, with 31.5% of the company’s customers now signed up to multi-play services. Cyfrowy Polsat’s multi-play base increased by 19% or 285,000 year-on-year to end 2018 with 1.8 million multi-play customers, taking a total of 5.38 million services, according to the operator. The number of contract services sold rose by 574,000 year-on-year to 14.26 million, and contract services now account for 84.3% of all services. The total number of pay TV contract customers increased by 156,000 year-on-year to exceed five million by the end of December, boosted by good sales of basic packages as well as added value services such as multi-room and OTT TV. Overall, Cyfrowy Polsat had 5.7 million contract customers at the end of the year, up 5.5%, with each customer using an average of 2.5 services. The group’s broadband internet base remained stable, at 1.8 million. Mobile customers were up by 413,000 to 7.3 millin, again boosted by multi-play. 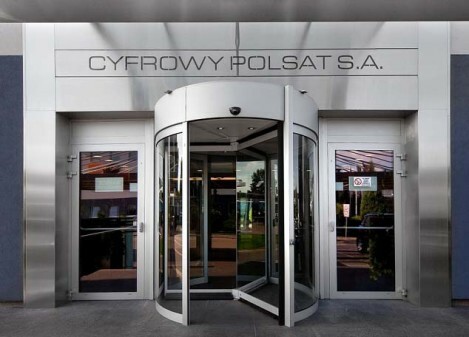 Cyfrowy Polsat’s revenue grew by 10% to PLN10.7 billion, while EBITDA increased by 7% to PLN3.7 billion. However, some local analysts expressed concern that EBITDA from mobile services, which accounts for the bulk of the group EBITDA, declined in the fourth quarter. Cyfrowy Polsat’s overall EBITDA for the year was boosted by its consolidation of telecom operator Netia in the course of the year. Tobias Solorz, , Cyfrowy Polsat CEO, said that the group had been able to implement all its plans while strengthening its position in pay TV, telecoms and free-to-air ad-supported TV. Solorz said that the addition of Netia to Cyfrowy Polsat’s line-up of assets had enabled the pair to cooperate in key areas including the addition of 900Mbps fibre broadband to the SmartDOM portfolio of services, and the extension of Netia’s TV offering to include channels from the Polsat stable.